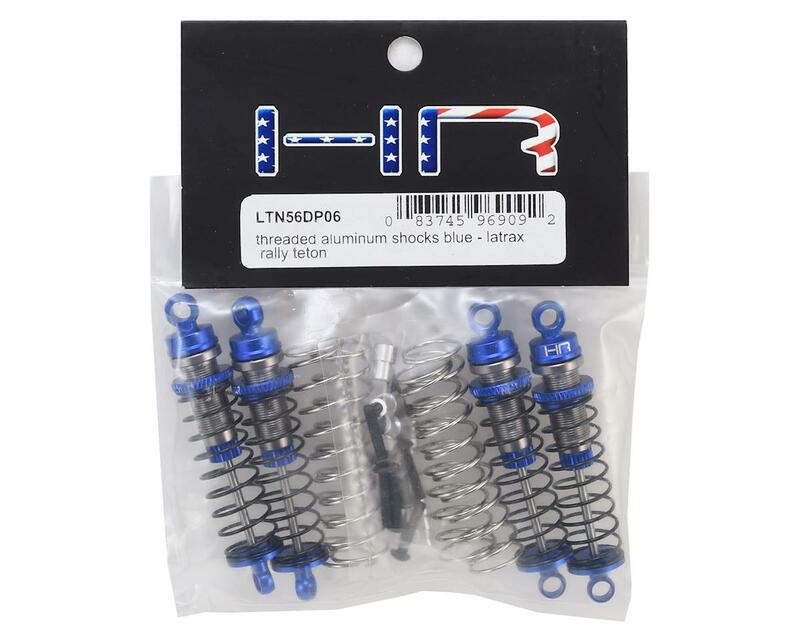 Hot Racing Traxxas 1/16 Threaded Aluminum Shocks are an optional aluminum shock upgrade for the LaTrax Teton from Traxxas. NOTE: Requires shock oil not included. Even before I took them apart to fill with oil, I could feel that the pistons werent travelling smoothly through the shock bodies and all 4 shocks felt a bit different than eachother. Upon removing the top caps I immediately noticed the large cut-out in the piston and suspected it would be too large and provide little dampening for a shock this size. I went straight to 40w shock oil and my suspicions were proven correct. Very little to no dampening whatsoever. This wasnt going to work for me. Also the machining in the lower part of the shock where the seals go was done poorly and this created some resistance for the shaft passing through. Again, all 4 shocks had various degrees of resistance here. 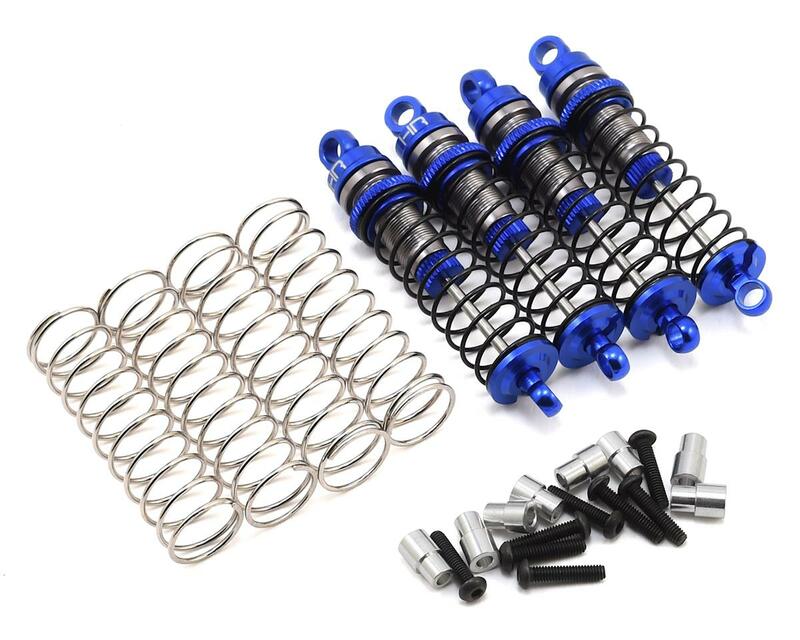 So off the work I go to make these shocks work how I expected them to out of the package. First, I removed the useless stock pistons and got to work making the ones out of the stock shocks work. The stock pistons have a slightly larger OD so I worked them down to fit into the Hot Racing shock bodies. At this point it became evident that the machining inside the shock body was done poorly as the pistons were not travelling through the shock bodies smoothly. After spending a bunch of time honing and smoothing out the inside of the shock bodies, they're moving smooth and to my liking. To fix the resistance from the lower seals, I sanded down the plastic washer in the bottom until it was allowing the shaft to pass through smoothly. Again, this took some time to get perfect. So to summarize, I spend a ton of time getting these shocks to work the way they should. Yes they look really nice but it's one of those situations where you get what you pay for. If I had to do it again, I would buy a new set of stock shocks or the Traxxas upgrade shocks for the Teton. Dont be fooled by the flashy looks and cheap price of these like I was.